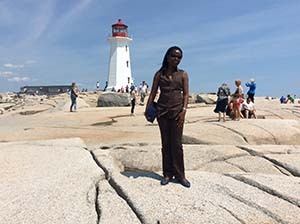 ISTEP Tanzania Nova Scotia Study Tour – I am so grateful to be part of this training, it was my first time visiting Canada and I had an awesome time. Wake up in the morning look at my hotel window with scenic view, that was amazing and seen our hosts (Katie and Kellie) from NSCC IT Campus waiting to meet us for the first time I will not forget how much they show hospitality to the entire group was unforgettable. On the next day we visited many tourist attraction such as museums, I learned so many things such as storytelling, I found that they do have a good way of connecting story with relevant pictures which made to be very exciting. Walking tours to Peggy cove is another tour we made; it was very interesting to find out about the small community living in isolated peace of land. Never miss Ghost Walking tour – Lunenburg This is also story telling I got a chance to listen to remarkable story while going around with lamp, I found that she is creative I was trying fit on her shoe reflect back to my beautiful country Tanzania I can see it possible to do kind of the same. Both tours open my mind wider. “Row row your boat” Thanks to Tony, was another milestone to able to kayaking and canoe paddling remarkable experiences. Also spending time with NSCC staff member at IT campus for lunch and introduction session was another moment that I cherish a lot. All staff members were so welcoming and hospitable. I couldn’t ask for more. While in Truro Campus, I got the opportunity to attend two courses which was Facilitating adult learning, and Assessment and Evaluation of the adult learning. 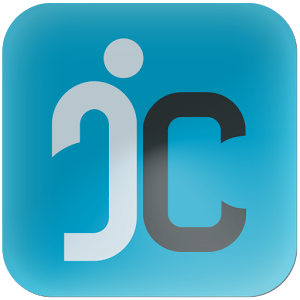 The facilitating adult learning introduces me to the new teaching technique BOPPPS, On the other hand, assessment and evaluating adult learning equip me with the knowledge on assessment and evaluation techniques. Both training added value to my teaching and learning practice. I would like to thank all ISTEP 5 with collaboration with VHTTI who make this journey possible.